THE Canal & River Trust has secured an agreement with High Speed 2 which will significantly reduce the impact of the rail line on the Trent & Mersey Canal at Fradley Junction. Under HS2’s proposals, a permanent access road would have been built adjacent to the Trent & Mersey Canal at Pyford Brook, in the popular Fradley Junction area. Following extensive negotiations, HS2 has agreed to introduce an ‘Additional Provision’ to address the Trust’s concerns. HS2’s access road will be rerouted to radically reduce the visual and aural impact on boaters and canal visitors in the area. The Trust has also reached agreement with HS2 on minimising the impact of construction works in the area. This includes reducing the impact of works on the canal towpath and minimising canal closures, especially during peak seasons, to facilitate works. 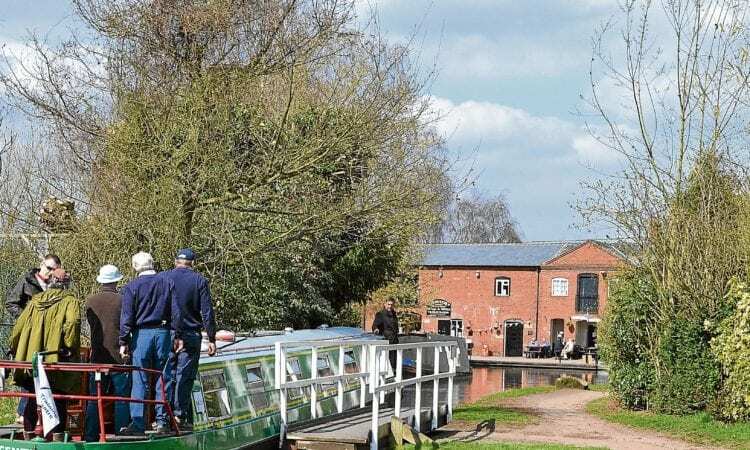 Peter Walker, head of technical support at the Canal & River Trust, said: “The Fradley Junction area, where the Coventry Canal joins the Trent & Mersey Canal, is one of the busiest and most vibrant places on the waterways. “We’re pleased that our extensive negotiations with HS2 have produced an agreement on protecting the canal and, as such, we have been able to withdraw our petition against the High Speed Rail (West Midlands – Crewe) Bill. Separately, the Trust will work with HS2 and other interested parties through the newly-created Sow Parklands & Cannock Chase AONB Landscape Group to address the design of the Great Haywood viaduct. 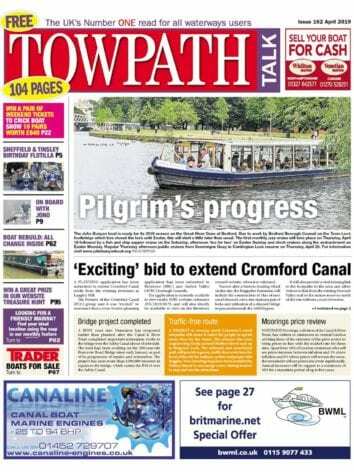 Peter Walker comments: “A HS2 viaduct will cross the Trent Valley at Great Haywood. This is going to be a critical interface which will have an impact on this historic landscape. “The design of this viaduct will have to be sympathetic to the local area, minimising the visual and physical impact on the canal. 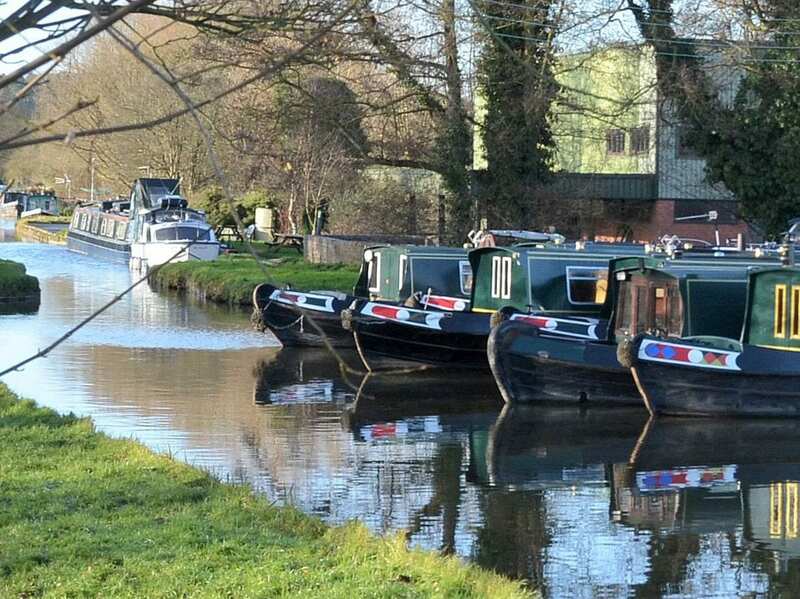 The Inland Waterways Association (IWA) welcomes publication of the HS2 Phase 2A Select Committee’s Second Special Report recommending improved noise mitigation for canal boat occupants at Great Haywood and Fradley Wood in Staffordshire. IWA Lichfield Branch Chairman, Phil Sharpe presented IWA’s Petition to the HS2 House of Commons Select Committee on 9th July, asking for recognition of the residential use of most canal boats, and for better noise mitigation fencing for boats moored in Great Haywood marina, on the Trent & Mersey Canal at Great Haywood and Hoo Mill, and near Fradley Junction. IWA had petitioned on several issues including noise mitigation on HS2 Phase 1 (London – West Midlands) but HS2 Ltd had continued to regard canal boat moorings as ‘transitory’ with users staying only for a few hours at a time, whereas in fact many are occupied residentially for extended periods from several days to several months. IWA is therefore very pleased that the members of this Select Committee have listened to the evidence, understood that people do not just live in houses but also in boats, and recommended improved noise protection for these two canal locations. We hope that HS2 Ltd will now realise that the same principles should apply to the whole of HS2 and that we will not have to petition again on this matter for the waterways affected by Phase 2B (Crewe to Manchester and West Midlands to Leeds).